Got white sheets? Got pillows? You’ve got a bed and headboard. The frameless bed sits on the ground anchoring the sleeping area. 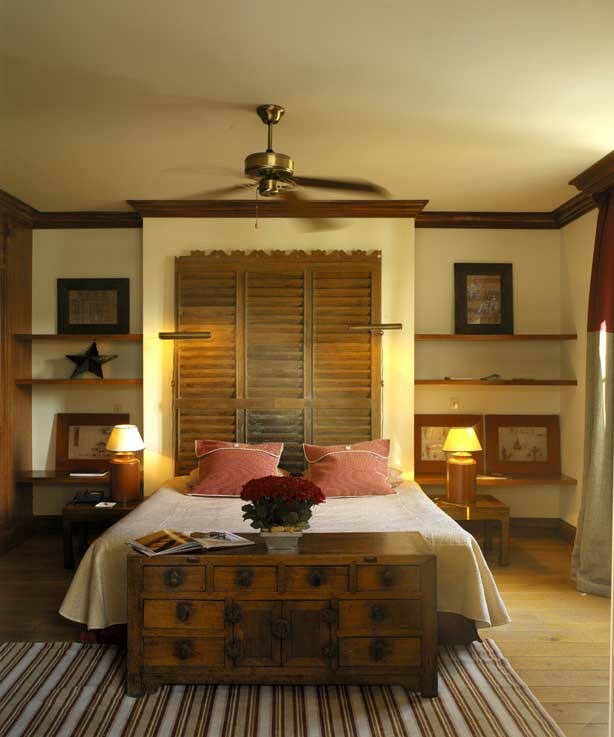 Shutters from the old laundry house add warmth and height to this room. SpaHome: Search flea markets, antique shops & architectural salvage companies for unique items like doors, shutters & other wooden items with textural interest. 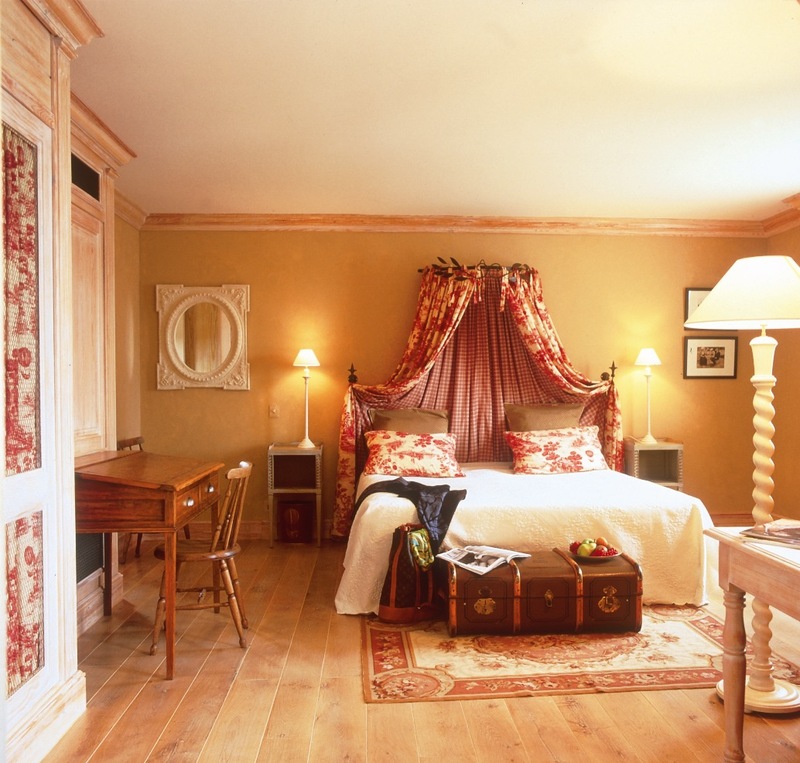 This bed is crowned and flanked with Toile de Juoy (literally scenes of work) fabric lined with gingham and held open by two large drapery brackets attached to the wall. Sumptuousness is attained by a. lining the fabric & b. draping it across the wall not just hanging it from the crown’s semi-circle. SpaHome: Build your own Bed Crown. Here’s how to’s for a semi round one from Leah French the Flea Market expert on about.com Though ready made crowns are difficult to find, Horchow has a decent selection, a favorite below. 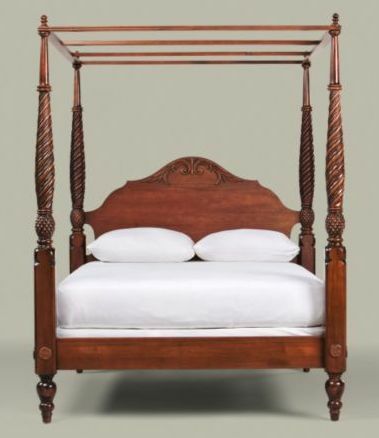 The deep bronze and delicate lines of this bed crown from Horchow keep it from being gaudy. 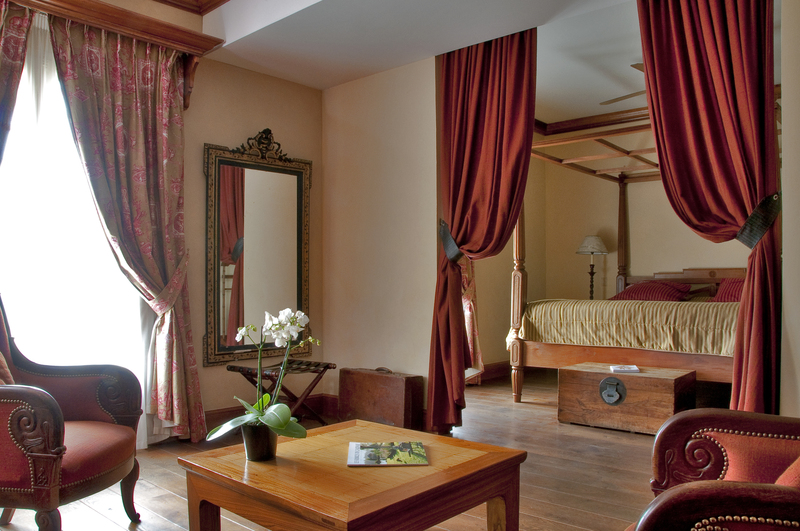 The stunning four poster with canopy frame more than makes up for the blank wall behind it. 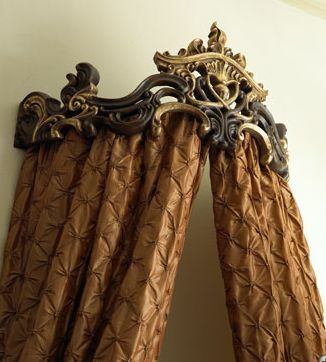 So French Country, though, I’d love to see a canopy drape though. SpaHome It: At Ethan Allen the British Classics Montego w/canopy frame channels the lines and presence of Caudalie’s. What’s your favorite? Invented your own headboard? We’d love to hear about it in the comments or better yet post a picture in our FaceBook Lounge.